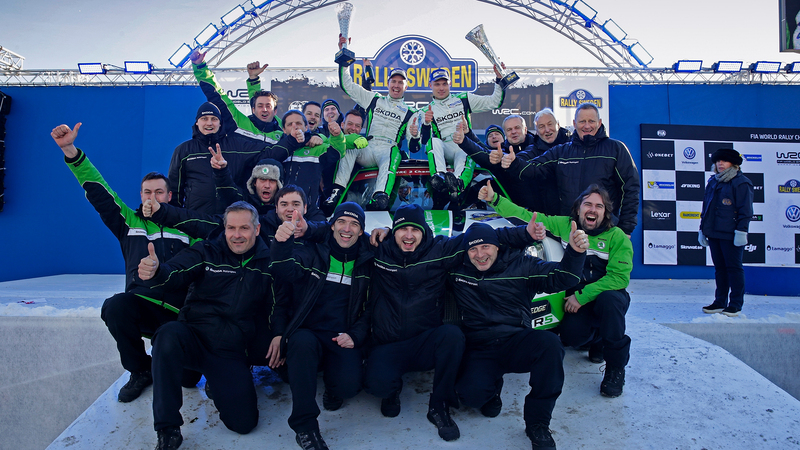 ŠKODA works driver Pontus Tidemand from Sweden thrilled thousands of his compatriots in taking an acclaimed home victory in WRC2 at the Rally Sweden. 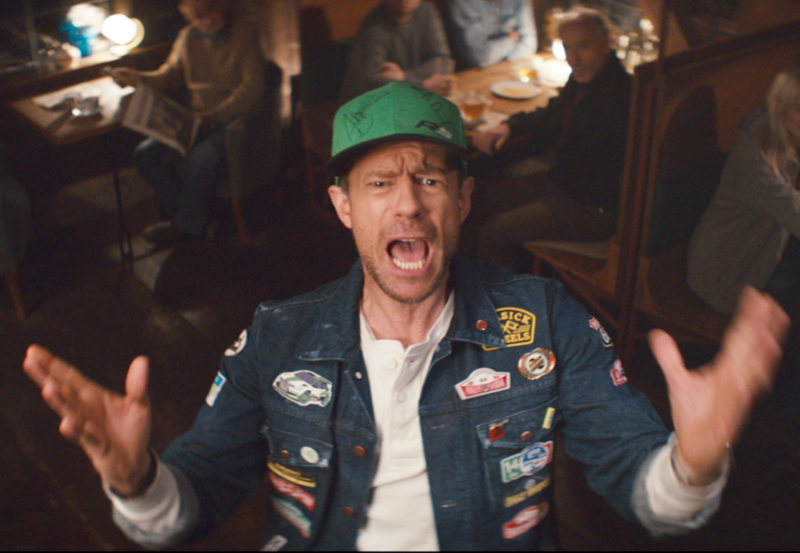 Having missed out on victory by a whisker last year, the 26-year-old and his Swedish co-driver Jonas Andersson dominated this time out at the only all-snow and ice rally on the WRC calendar. 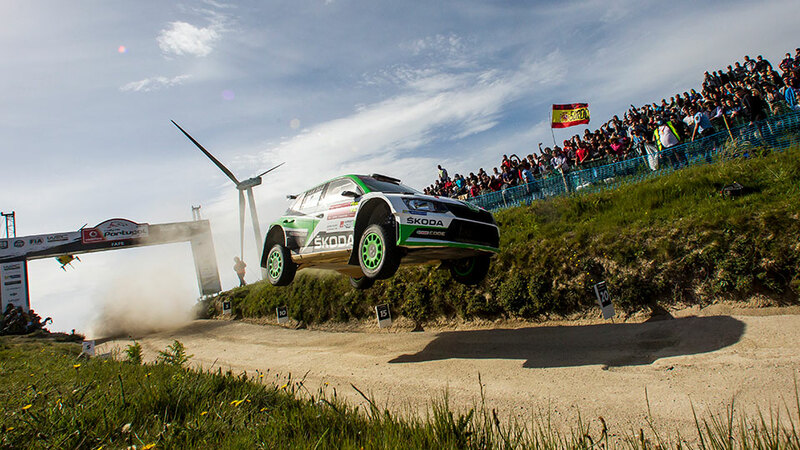 The ŠKODA FABIA R5’s dominance, which began last season, has now seen the car win 12 of the last 13 rallies in the FIA World Rally Championship (WRC) in the WRC2 category. 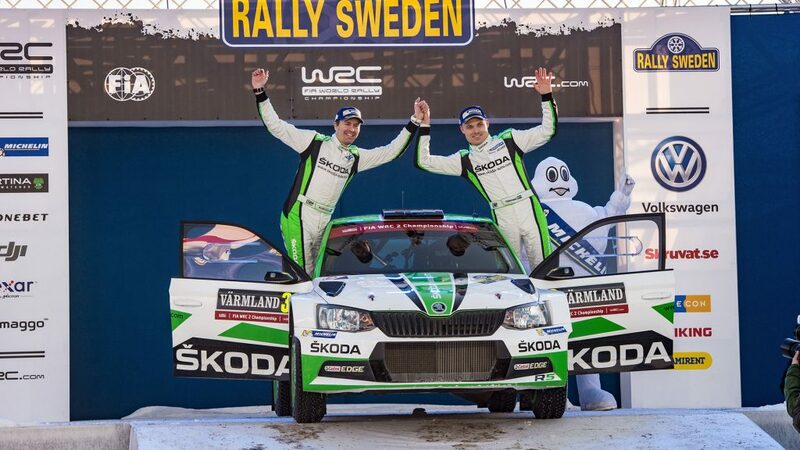 After a cautious start, the Swedish duo took the lead for the first time on stage four. They then gradually extended their lead. Whether on the night stage around the service park in Torsby, or the famous Vargåsen stage with the Colin’s Crest jump, Tidemand was in a class of his own in front of the thousands of fans that lined the 300 kilometres of special stages. He also showed great composure, driving on the safe side on Sunday’s final three stages to ensure he completed the win without any major complications. 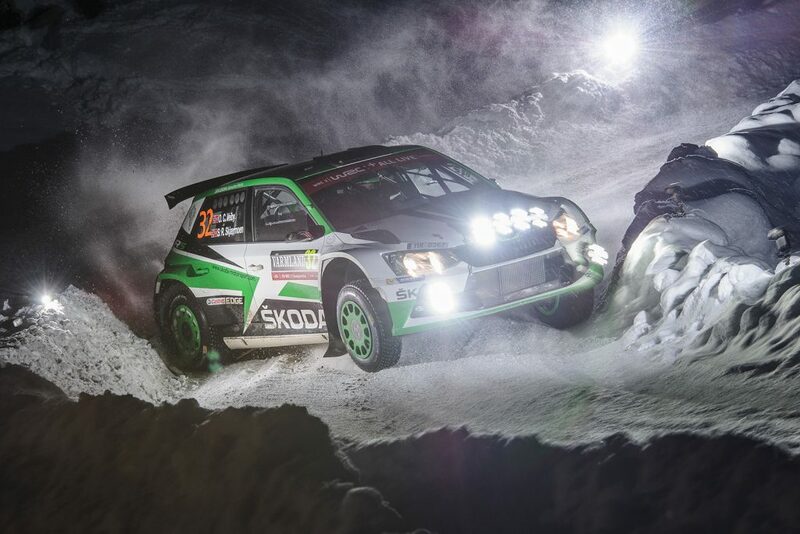 Pontus Tidemand was the fastest man on ten of the 17 special stages in his ŠKODA FABIA R5 and won the Rally Sweden with a 51.8-second advantage over Finland’s Teemu Suninen. Third place went to young Norwegian Ole Christian Veiby who put in another impressive performance in a private ŠKODA FABIA R5. “Fantastic. That is the highlight of my career so far. My first home win at the Rally Sweden in WRC2 is a dream come true. 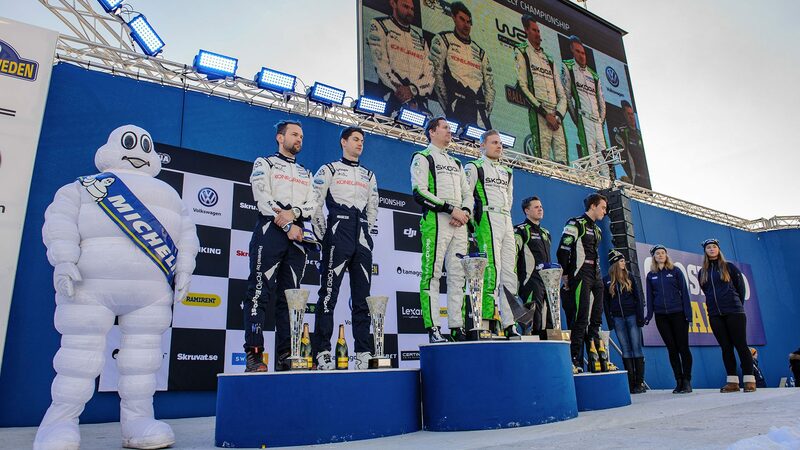 Last year we narrowly missed out on victory by just 14.7 seconds, but that has only made this success all the sweeter,” said Pontus Tidemand. 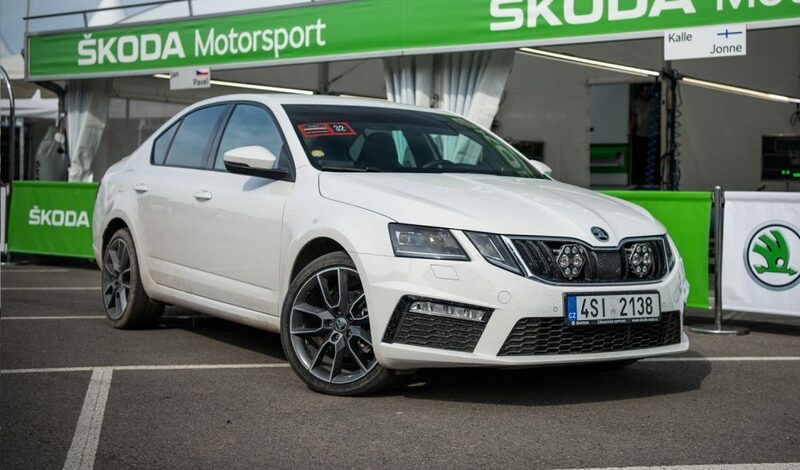 For Sweden’s Motorsport Athlete of the Year 2016, this was the third WRC2 victory in the ŠKODA FABIA R5, following wins in Spain (2015) and Portugal (2016). And there is no sign of it being his last victory this year. 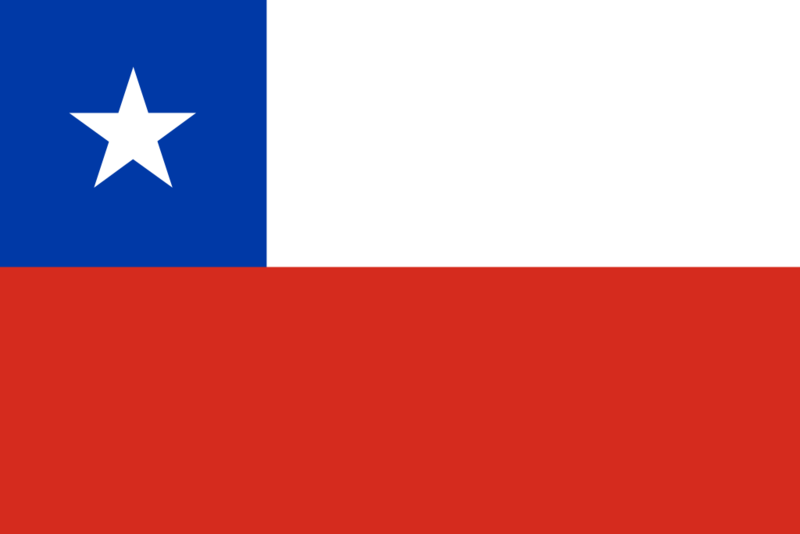 “Our goal is to win the WRC2 title. We have made the perfect start,” said 26-year-old Swede. Tidemand now tops the overall WRC2 standings with 25 points, alongside Andreas Mikkelsen. 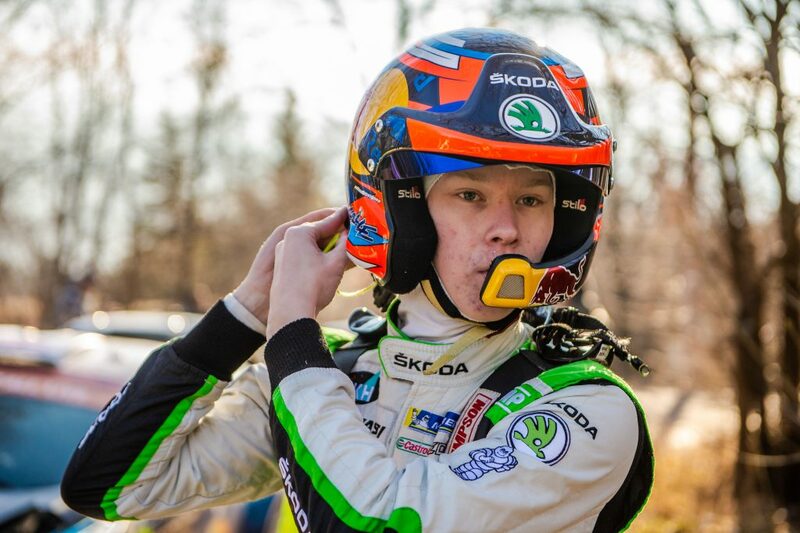 The Norwegian won the opening round of the WRC in Monte Carlo for the ŠKODA Motorsport works team, finishing ahead of his team-mate Jan Kopecký. The successful start to the 2017 rally year has seen the ŠKODA FABIA R5 enhance its reputation as the top car in WRC2. 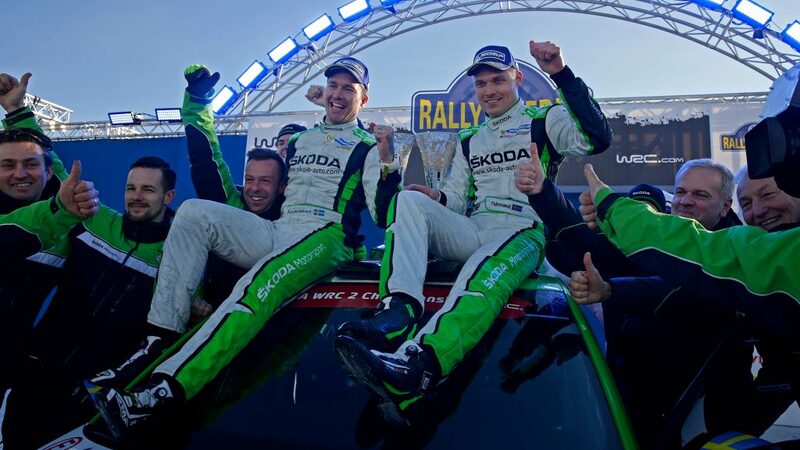 The high-tech, four-wheel drive car from the Czech Republic has now won 12 of the last 13 WRC2 rounds. 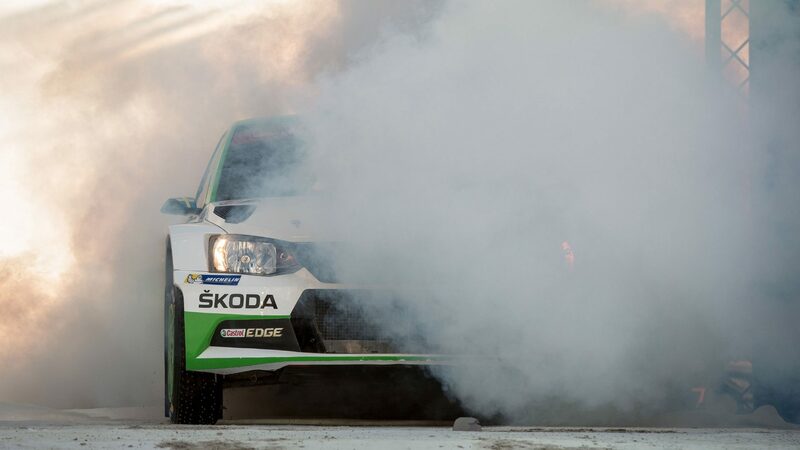 The next challenge awaits in the form of the Rally Mexico, from 9 to 12 March, when Pontus Tidemand / Jonas Andersson will hope to prove their title credentials in the heat and on gravel, rather than in the cold and on ice. 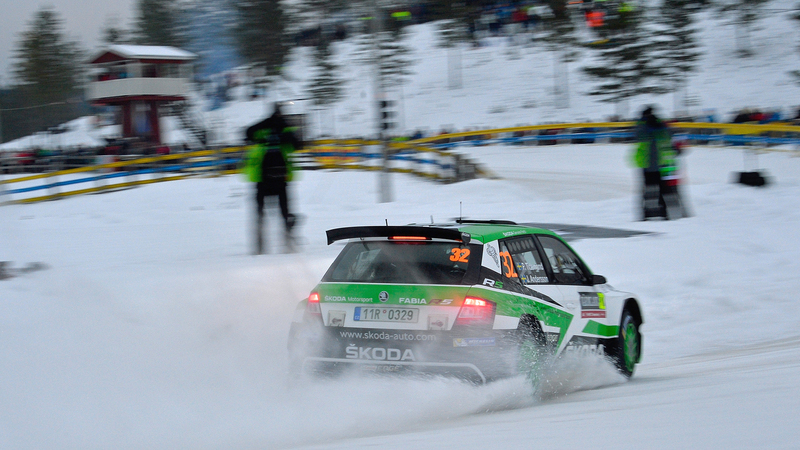 The ŠKODA FABIA R5 was the outstanding car in its class on the snow and ice at the Rally Sweden. 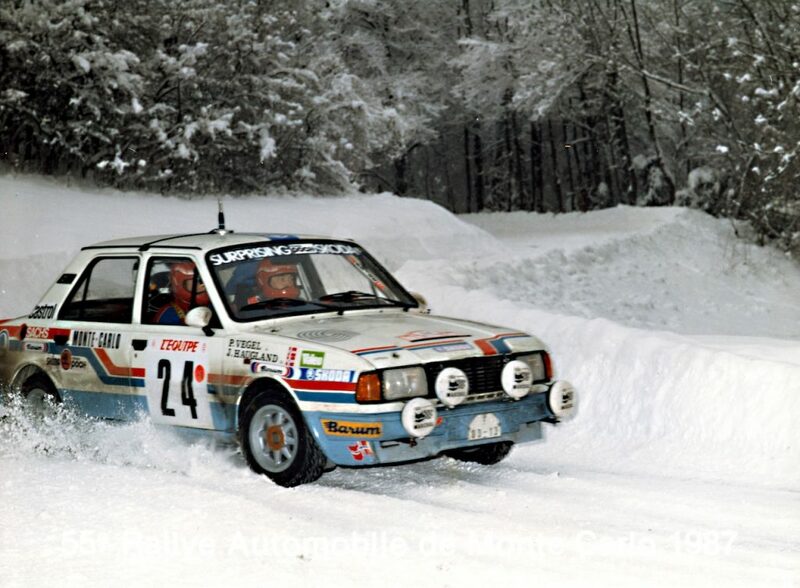 The turbo-powered car from the Czech Republic won 13 of the 17 special stages. 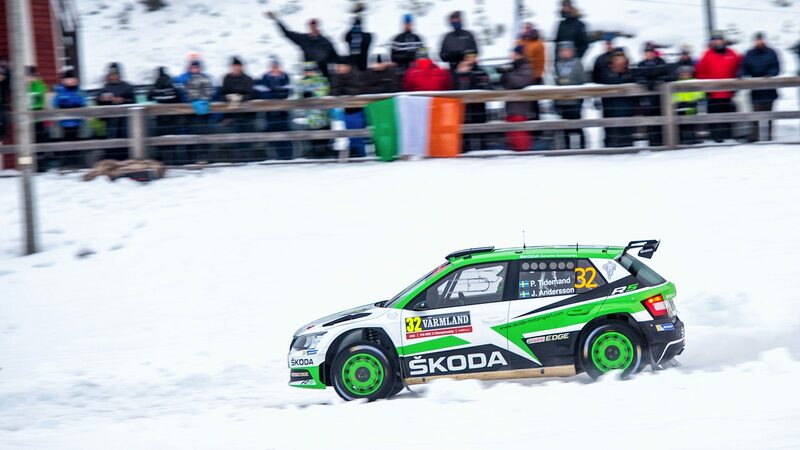 Works driver Pontus Tidemand was the fastest man on ten occasions, while talented youngster Ole Christian Veiby won three stages.